Workplace environments where casual sexual teasing and harassment took place, such as those depicted in period shows like Mad Men, are a thing of the past. Social mores have changed and the law has changed to reflect them. And for the past thirty years, sexual discrimination has been a protected ground in human rights legislation. But it still happens. So what’s the best way for employers to protect employees? 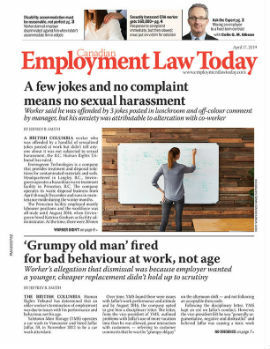 HR lawyer Laura Williams discusses how employers can keep their employees safe from sexual harassment — and themselves from legal liability.